Hey folks, Valkor here. Saturday morning cartoons are back in the Val-Cave and thanks to the folks at Warner Home Video, I don't have to wake up at 6 a.m. to do it. With my copy of "Saturday Morning Cartoons 1980's" and a bowl of cereal, I can have Saturday morning… any morning, any day of the week. Though not the crème of the crop, you have some pretty decent toons on this 2-disc set. Much like the 60's and 70's DVDs, the 80's set feature 11 full episodes of popular and not so popular shows, for instance you get a full one ep hour of "The Flintstone Kids" with opening and end credits (the same goes for all the toons in the set). Plus no cheesy announcer and opening, like the first two sets. With this set you jump right into the cartoons with no wait. Joy!!! So let's kick things off, shall we? 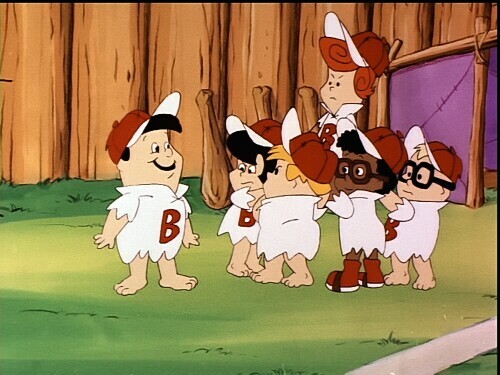 The Flintstone Kids – in "The Bad News Brontos" the Bedrock kids are on the midst of a losing streak in baseball, but when Freddy's mom takes over as coach, things seem to be looking up. 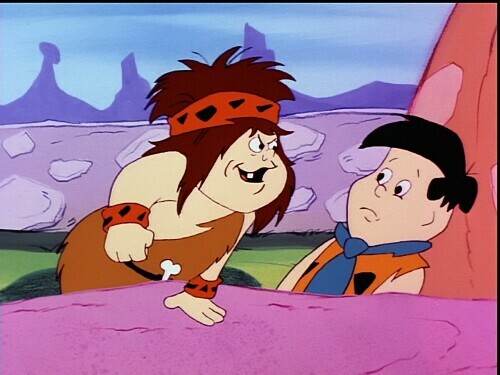 But Freddy makes a bet with the Bad Rottens that puts Wilma on the line. DOH! After that it's time for Captain Caveman and son in "The Invasion of the Mommy Snatchers" where moms go missing all over time and it's up to the caveman duo to find out what's going on. There only clue is a mysterious flash of light. Next it's Princess Wilma, where Wilma dreams of being a princess in medieval times. She's taken by Rocky Ratrock, but Freddy and Barney are there to help save the day. 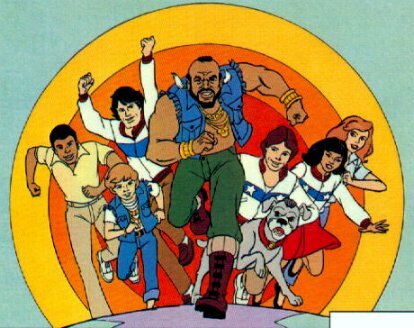 Mr. T – For those who don't know, that's right Mr. T had a cartoon, where he hung out with a bunch of gymnast, a dog that had a Mohawk just like him, and a kid who wants to be just like him (And he does everything but gets a Mohawk). In the episode of "The Mystery of the Golden Medallions" a bunch of crooks are going all over time, snatching gold medallions and breaking them up. Just what are they looking for? Don't worry, T and the Team are hot on the case. The Completely Mental Misadventures of Ed Grimley – Ed Grimley was an SNL character that was a total crack-up (performed by Martin Short); kinda like Pee-wee Herman, but a bit reserved and more of a goof. In the episode of "Tall, Dark and Hansom" Ed does a favor for his cousin by taking over his Hansom cab. When he learns that the girl of dreams will be attending a horse race with her new beau, he decides to take part in the race in hopes of finally winning her over. Monchhichis – You know you're a child of the 80's if you know or owned a Monchhichi (never owned one, but loved the show…. Ahem!). Sadly the series only lasted one season, but you can get a taste of the adventures of Thumkii, Hatchet, Tootoo, Kyla, Wizzer, and Moncho as they try to save happiness from the evil Horrg. Anywho we find our furry friends in the episode of "The Tickle Pickle" where the Monchia is under attack by the Grumplins, which causes havoc to the Happy Works and the Tickle Crystal breaks. The works can be repaired but the group has to travel to HAHA Hollow to get a new crystal. And guess who gets word of what's going on? Horrg! Dragon's Lair – Based off the Don Bluth ever so popular game of the same name, our favorite Knight Dirk the Daring must get primo present for the princess Daphne in "Tale of the enchanted gift". 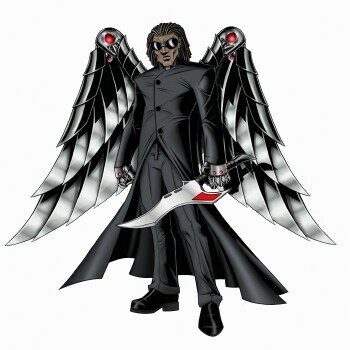 However the gift he retrieved was a set up by none other than his arch nemesis Singe. Singe uses the gift to capture the princess and now it is up to Dirk to get her back. The show was unique because it really brought the video game into the series. Right before the show went into commercial, during a climactic scene, the narrator would ask "What would you do?" to solve Dirk's problem. After the break we'd see the outcome of the different choices that Dirk could/would make both positive and negative. 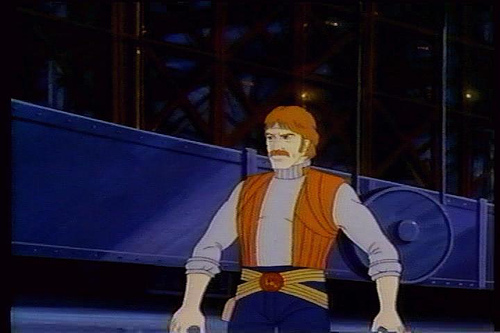 The set also features episodes from Thundarr the Barbarian, Chuck Norris and the Karate Commandos, and Goldie Gold and Action Jack, just to name a few. Speaking of Thundarr there's an interesting little extra, "Lords of Light! 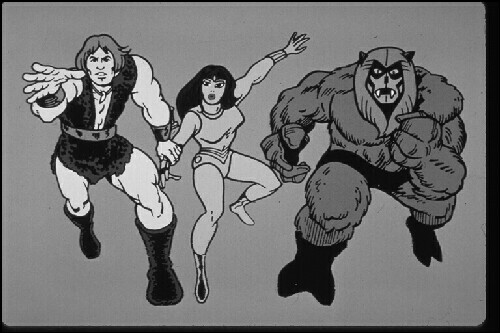 Thundarr the Barbarian", which looks into the origin of the character and why the series was canceled. Definitely a must see for the fans. As a child of the 80's I can totally appreciate this set and every show contained within. Mr. T, Chuck Norris, Ed Grimley, The Flintstone kids, all were favorites of mine and it's been great to relive those Saturday morning moments. Most shows hold up pretty well, others not so much, but overall it's all about the fun and that's just what you'll have, especially if you can share 'em with a newer, younger audience. Who's Goldie Gold? I thought it was a female Richie Rich, but turns out she's less cartoony but just as ditzy. I don't recall the show and frankly, I wanna forget it. 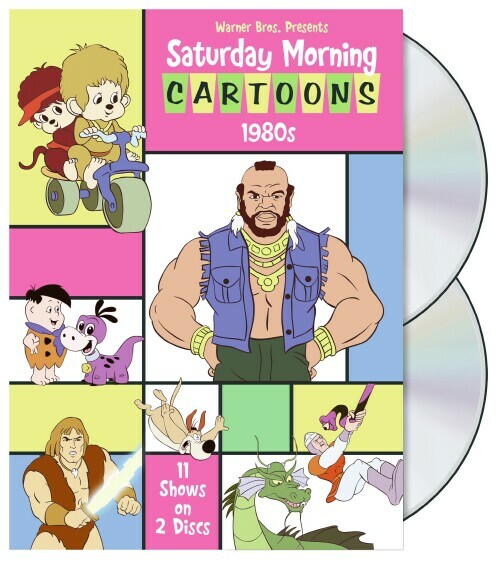 I had a lot of fun with "Saturday Morning Cartoons 1980s" not because it's something I grew up with and enjoyed, but my little Val nephews and nieces watched and enjoyed the shows as well. Would I recommend it? You better believe it. The 2-disc set is out now and out of TOV 5 stars I give Saturday Morning Cartoons 1980s 3.5 stars and it's been Valkor tested and TOV Approved!